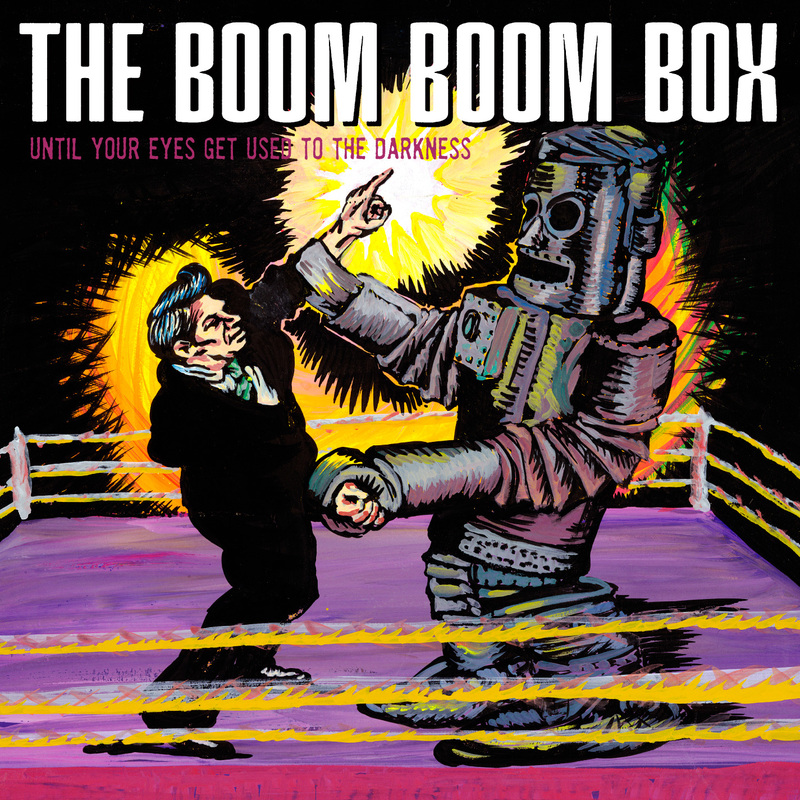 The Boom Boom Box's Until Your Eyes Get Used to The Darkness hits store 1/24/2012. Pre-orders are being taken at Kirtland Records online store. Titled Until Your Eyes Get Used to the Darkness, it features the same sawing, jittery, driving rock 'n' roll you've come to expect from those aforementioned bands, and follows up a 2008 EP. Plus, a deadly robot looks like he's about to snap the arms off a businessman on the cover.